At Vancouver Tennis Center, our team’s first priority is the experience of our members and players. From our friendly operations team to our experienced tennis pros, we are committed to welcoming players of all levels and helping them achieve their goals. Meet our VTC team, learn about our tennis pros and schedule a lesson below! Please review our lesson rates and read about our experienced pro staff below. Then click the link below to schedule a lesson. Patrick Dreves is the General Manager of Facility Operations & Services for USTA Pacific Northwest, overseeing facility development and growth for the entire Northwest Section to include the states of Alaska, Washington, Oregon, and the northern half of Idaho. Dreves joined the USTA PNW staff following seven years as the Head Men’s and Women’s Tennis Coach at Lewis & Clark College. During his tenure, he was named ITA West Region Coach of the Year in 2015 and 2016 as well as Northwest Conference Coach of the Year for both the men’s and women’s teams. Dreves joined the Pioneers staff following seven years at the Spokane Club where he served in multiple capacities, most recently as the Athletic Director/Director of Tennis. He also served as the Head Tennis Pro at North Park Racquet Club and Mill Creek Country Club. As the co-founder of Oregon Elite Tennis with former ATP player Jonathan Stark, Dreves is no stranger to the Northwest. In addition to his college coaching career at Lewis & Clark, he has led College programs at Whitworth University, Linfield College and Eastern Washington University – earning four more conference coach of the year awards and multiple conference championship titles. 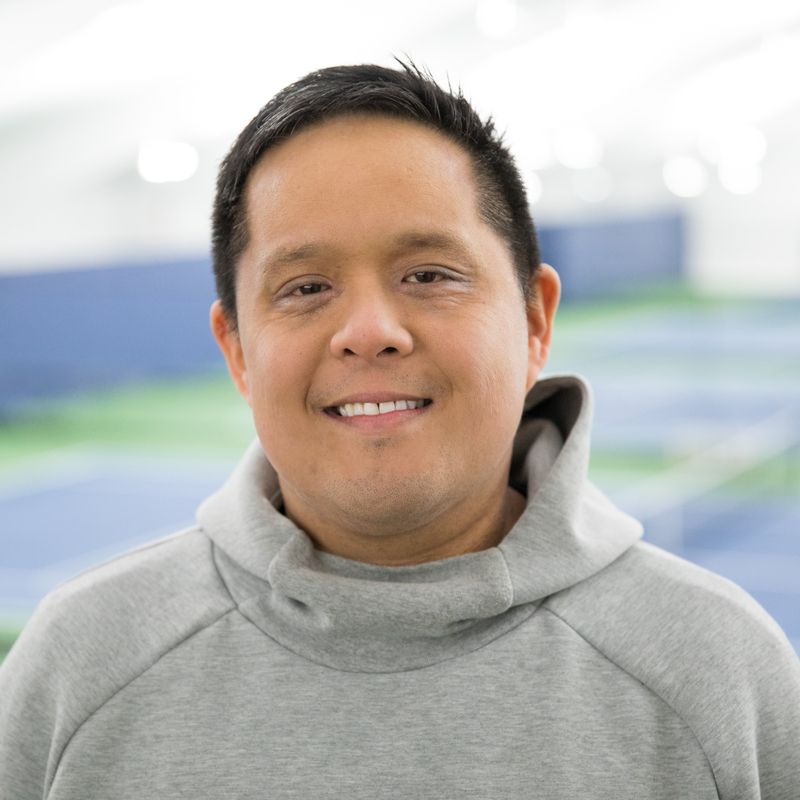 Patrick has served on the USTA Junior Competition Committee and Junior Coaches Commission for ten years, while also being a part of the USTA Regional training center coaching staff. Robin Burak started playing tennis after her young children began taking lessons. Realizing how much fun the kids were having, she formed classes with the other spectating parents and quickly fell in love with the sport. She began organizing JTT Teams and served on the Vancouver Tennis Center (VTC) Foundation Board before joining the VTC full time in 2006. The VTC and the sport of tennis have been her passion ever since. She loves seeing players, both adults and juniors, embrace the sport and experience the joy of tennis. Even after a decade of serving players in all aspects of their tennis, she is thrilled to continue doing so – keeping tennis alive and thriving at the VTC. Sanja was born in Croatia in 1982, but later moved to Bosnia with her family. She was skilled in both gymnastics and tennis, participating in national junior tournaments for both. Once the war in Bosnia broke out, her family sought refuge in Berlin, Germany where a coach discovered Sanja. He put her on a scholarship at his club, where she played from 1992-1998. Sanja and her family then immigrated to Vancouver, WA and Sanja began playing at Vancouver Tennis Center. The facility’s director became her coach and helped her become one of the top PNW juniors in the girls 16’s and 18’s, and #133 in singles and #12 in doubles nationally. She received a full athletic scholarship to the University of Portland where she became the Pilots’ No. 1 singles player, and double majored in Media Communications and German Studies. In 2006, she became an official tennis professional and in 2009 she achieved the coveted status a National Adult Mixed Champion. Today Sanja is married with two boys and is excited to serve the facility that became her home when she moved to the US in her new role as Head Pro. Michael Mon was born and raised in Vancouver, WA and developed a love for tennis from an early age. He started playing competitively when he was 11 years old and still plays on 9.0 and 10.0 mixed teams, having been a part of the Vancouver Tennis Center (VTC) mixed 10.0 team that won nationals in 2009. This October, Michael will be competing at nationals with the VTC men’s 4.5+ 40 and over team. In 1996 he began coaching part-time teacher at VTC until becoming an assistant pro in 2000. 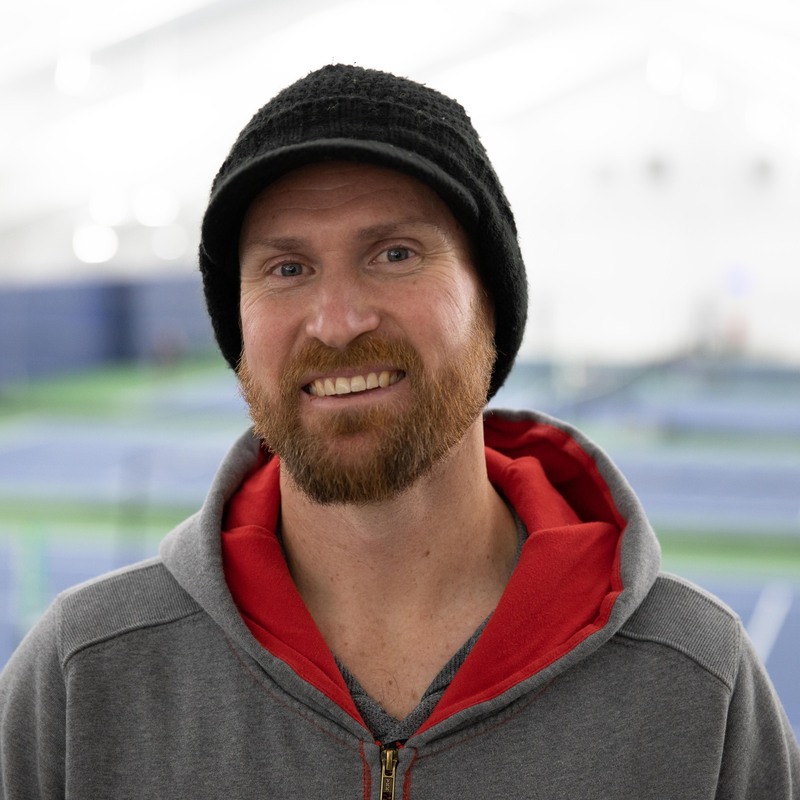 Michael has coached tennis at VTC for over 20 years and enjoys being able to pass on his knowledge of the game to players of all ages and levels. He looks forward to continuing to mentor players and his fellow coaches as the Associate Head Pro. Anthony Nelson was born and raised in Newcastle, Australia. Although he grew up in a golfing family, Anthony picked up tennis at the age of 10 after suffering a broken arm from soccer. The sport quickly became his number one passion and he began teaching tennis at the age of 15. He competed in high-level junior tournaments in Australia, including the Satellite Tour, which provided many young players with an avenue to play professionally on the international circuit. After meeting his future wife in 1999, Anthony moved to the United States and began teaching at The Vancouver Tennis Center in 2000. He enjoys helping players of all backgrounds improve their game and fall in love with the sport, just as he did after his fateful soccer injury. Susie is from Woodland Hills, CA and attended Louisville High School, where she was the top-ranked singles and doubles player in the CIF Southern California area as a senior and a four-time All-CIF state selection. Her collegiate tennis career began at Cal State Northridge in 1984, earning All-America honors that season before transferring to the University of Oklahoma. She was a two-year letter winner in tennis and earned one letter in softball for the Sooners. In 1988 Susie was an NCAA All-American and reached the NCAA quarterfinals. She was also a member of the Big-8 Conference doubles championship team. Susie graduated from Oklahoma in 1989 with a business degree and she also received a Masters in Leadership at the University of Portland in 2012. After college, Susie was the Pacific Northwest’s No. 1 open singles and doubles player, competed in USTA 10,000’s and was named the 1994 Pacific Northwest Women’s Open Player of the Year. She was a finalist in the $15,000 Nike Open Championships in singles, doubles and mixed doubles. Susie also competed in Europe on two occasions in 1986 and 1989. In 1993 Susie was hired to be the Women’s Head Tennis Coach at the University of Portland and 27 years later continues to lead the program. She is the winningest women’s tennis coach in school history, two-time West Coast Conference Coach of the Year (1997 and 1998) and has had nationally ranked singles players six times. Other signature achievements include guiding the team to the WCC Championship Final in 2015 for the first time in program history and also having the highest team GPA at UP, which has happened consistently throughout her tenure. 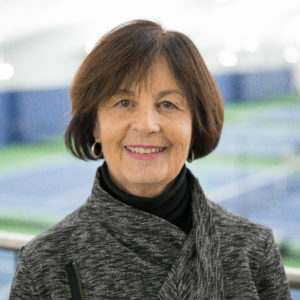 While coaching UP, Susie was an assistant tennis professional at the Multnomah Athletic Club in Portland and she coached Northwest junior teams at USTA national events from 1996-98. Balancing a busy schedule isn’t a problem for Susie, as she loves to teach the game as much as she can when she is not busy leading her UP squad to victory. Susie is also the mother of three children: Jasmine (20), Mackenzie (16) and Gavin (12). Ben DeLuca is an Assistant Pro from San Francisco, CA. He played varsity Tennis at Lewis and Clark College and was also the team captain. After graduating, he returned home to teach adults and juniors at the Bay Club in San Francisco before relocating to Oregon again in 2017 to coach Portland’s top youth players with Oregon Elite Tennis. Coaching is Ben’s passion because he gets to apply his love for the sport to help others find that fire within themselves. Though he sets specific goals for his players every time they’re on the court, his coaching philosophy focuses on process over product. It keeps his players focused every practice, even on difficult days, which is what ultimately leads to improved results. He is looking forward to serving the Vancouver Tennis Center and working with players of all ages, skill level and experience. Kevin grew up in Ridgefield, WA and started playing tennis at seven years old at the Vancouver Tennis Center. He soon began competing in tournaments in the local area, and by the time he was 16, he was consistently ranked in the top 15 in his age group in the PNW. In 2002, he represented the PNW at the Junior Davis Cup in South Carolina. He also played for the Ridgefield High School team all four years and won the Washington 2A Singles State Title in 2001, 2002 and 2003. After high school, Kevin earned a scholarship to play tennis at Eastern Washington University and played both singles and doubles all four years. Since graduating college in 2008, he has taught high school English and coached both girl’s and boy’s tennis for the high school teams at Battle Ground and Columbia River. He is excited to return to the Vancouver Tennis Center to help the community’s next generation of players. In his free time, he loves to rock climb and train in martial arts. Hanna is from Ashland, Oregon, and has been coaching all ages and levels for over six years. As a player, she won the Oregon State Doubles title three consecutive years in high school and was recruited to play for the nationally ranked Varsity Tennis team at Whitman College. At Whitman, she was awarded honors including Team Captain and All-Conference, as well as earning All-American status her senior year. Hanna has coached and managed tennis programs under the USTA, Whitman College Tennis and Wine Camps, Walla Walla Parks and Recreation, Ashland Tennis and Fitness Club, and has coached alongside elite, nationally recognized coaches. She has a passion for inspiring and developing players of all levels. In her experiences, Hanna has learned to tailor her coaching to the needs and desires of her students, and she guarantees quality instruction and positive encouragement. As a Vancouver, WA native, John Heim has been immersed in the Clark County tennis community for over 35 years. He attended Columbia River High School where he excelled in tennis, basketball and baseball. After winning the Washington State Community College singles title, John was awarded a scholarship to play for local tennis powerhouse, University of Portland. Upon graduation, he utilized his marketing degree with a fulfilling career at The Oregonian and Columbian newspapers. In 2001 he returned to tennis and began coaching at the Vancouver Tennis Center, Club Green Meadows and Evergreen Tennis Club. He also coached both the boys and girls tennis teams at Columbia River High School for eight years. John is a USPTA certified instructor and continues to have a tremendous passion for teaching and playing tennis. His greatest joy is watching the transformation of junior and adult players, going from shy to outgoing, alone to formulating friendships, insecure to confident, and from scared to step out on the court to wanting to play every day. To John, coaching is not a job but a privilege. He also enjoys cooking, running, music and has a love/hate relationship with golf. Stefan Lagielski is a Vancouver, WA local and developed a passion for tennis after learning the game through a scholarship program. He went on to play for the Prairie High School Tennis Team, where he was a three-time district doubles champion and three-time state qualifier, finishing second place his senior season. After graduating high school in 2008 he played varsity tennis at George Fox University (GFU). During the 2009 season, he was the top player on the GFU team and played in the No. 1 position. 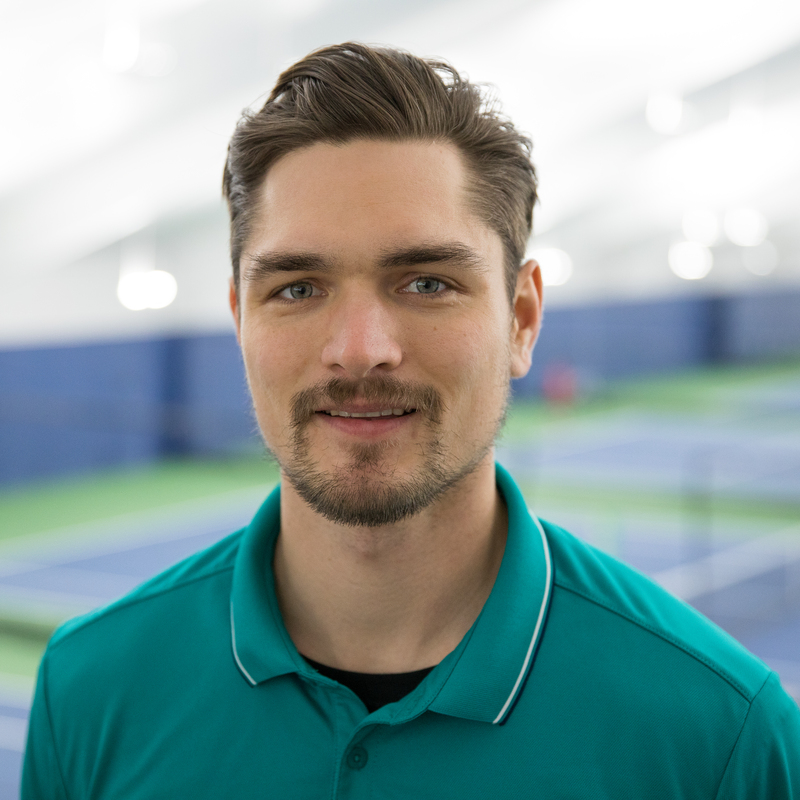 From 2010-2017 Stefan coached tennis in Texas and has relocated back to the Pacific Northwest to continue teaching the game as an Associate Tennis Pro at the Vancouver Tennis Center. Kevin Ross is a Los Angeles, CA native and relocated to the Pacific Northwest to play varsity tennis at Lewis & Clark College. His decorated career as a student-athlete includes receiving all-Northwest Conference Honors all four years and being selected as the team captain for his junior and senior year. Anthony was a significant force in turning the Pioneers into a nationally ranked program, playing in the No. 1 & No. 2 positions in both singles and doubles. Since graduating in 2016 with a degree in economics, Anthony remains active in the sport and is currently working as a tennis pro for Oregon Elite Tennis. He is passionate about coaching and enjoys helping junior players grow their skills on the court, while also having fun. 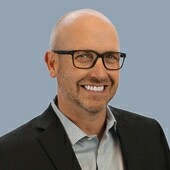 Scott is a native of Tacoma, WA and now resides in Scottsdale, AZ. 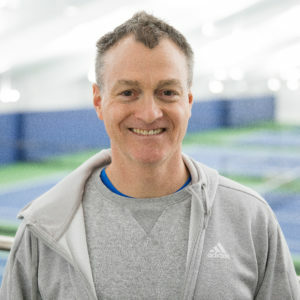 He is the Founder and President of Northwest Tennis Consulting LLC, where he works with players, parents and pros on a variety of tennis industry issues. For 31 years he has been the Director of Tennis of various clubs and academies, and has coached many top sectional and nationally ranked juniors, with many players receiving college scholarships. For years Scott worked and traveled with ATP Tour player Jan-Michael Gambill of Spokane and helped Gambill reach a career-high ranking of #14 in the world with wins over Agassi, Sampras, Federer and six other upset victories over opponents ranked in the top 10. Scott has also coached at four Davis Cup ties, three US Opens, the Australian Open and other ATP Tour events. Scott is now spending most of his time training his daughter to be a future professional along with a few other talented juniors. Jonathan Stark is a former ATP player and co-founder of Oregon Elite Tennis. He brings with him a wealth of on-court knowledge and competitive experience to the Vancouver Tennis Center. He competed in the PNW as a junior and obtained national standing with the USTA. Jonathan was a singles & doubles All-American at Stanford and played on the ATP tour from ’91 to ’02, reaching the #1 ranking in doubles and #36 in singles. He holds two ATP singles titles and 19 ATP doubles titles, including the French Open Doubles in ’94 (with Bryon Black) and Wimbledon Mixed Doubles in ’95 (with Martina Navratilova). Jonathan was a member of the US Davis Cup Team and has also been a member of the ATP Tour Council. He has served as director of junior development at the Seattle Tennis Club and volunteer assistant coach at UW and Lewis & Clark. Jonathan was inducted into the USTA PNW and the Oregon Sports Hall of Fames. 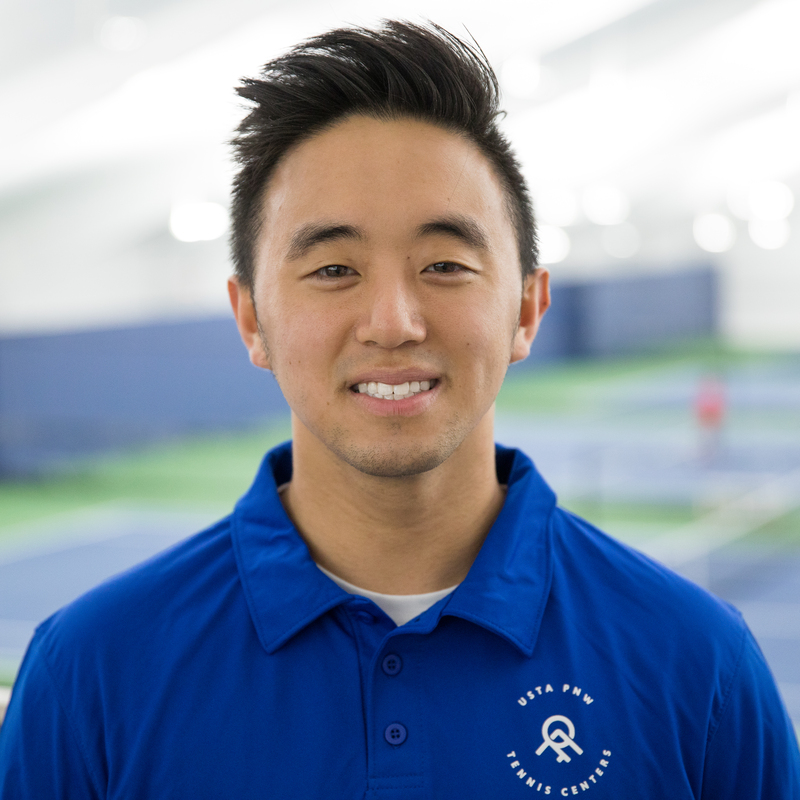 Jack Wang has returned to Vancouver, WA to teach tennis at the very facility where he developed his passion for game, and for teaching. Returning to Vancouver Tennis Center as a Tennis Professional gives him the opportunity to share his love of the sport by helping others experience the joy and escape that comes from playing tennis. Join us in welcoming Jack the VTC Team. Emory Watsons began playing tennis with his dad and brother while growing up in Louisiana. Though the tennis community was extremely small in the bayou outside of New Orleans, the times on the court instilled a deep fever for the game. Emory attended Trinity International College located in Miami, Fla. where he was a dual-sport athlete, playing both tennis and soccer. After earning his degree in Physical Education, he obtained his PTR P-1 teaching certification and began teaching professionally in South Florida at The Tamiami Tennis Center. 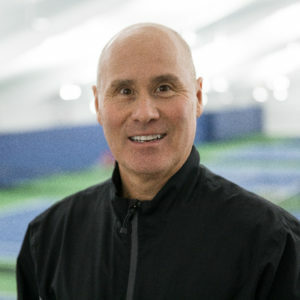 Before making his move to the Vancouver Tennis Center, Emory was an instructor at several tennis facilities and was a PE teacher at many elementary and secondary schools. The mixture of those educational venues has given him a wealth of experience in planning programs, creating and implementing curriculum, mentoring assistant pros, and coaching a wide variety of lesson formats. Alita grew up in Tacoma, WA and began playing tennis at the age of four. She played at the Lakewood Racquet & Sports Club and the USTA PNW junior circuit. Alita attended Bellarmine Prep High School in Tacoma, where she played four years of varsity Tennis and Volleyball. At Bellarmine, she won four 4A double state championships (2003, 2004,2005, 2006), both individually and as a team. Alita attended Saint Mary’s College of California on a Volleyball Scholarship (2006-2010) and played on the women’s tennis team for 3 years (2009, 2010, 2011). In 2010 she won two WCC Conference Championships, both in volleyball and tennis. She also had the opportunity to participate in the Division I NCAA Tournament three times for tennis and two times for volleyball. While finishing her B.A. and M.A. in Kinesiology at Saint Mary’s, Alita coached summer camps and clinics in both tennis and volleyball, along with coaching club volleyball. After receiving her undergraduate degree, Alita was the interim Head Tennis Pro at the Maui Country Club in 2010 and the Assistant Tennis Program Coordinator at the Maui Boys & Girls Club. During her Master’s at SMC, she worked for the City of Orinda as the Assistant Recreation Coordinator, specifically implementing the USTA 10 & Under Program along with drop-in adult clinics. After obtaining her graduate degree, she moved to an Assistant Tennis Pro position at the Moraga Country Club coaching players from 4-84 years of age along with running men’s and women’s adult clinics. Currently, Alita works for Game Ready, a company that specializes in equipment for orthopedic and sports therapy recovery in the marketing department and is excited to be a part of the VTC family! In 2018 Alita competed in her first adult league on the 10.0 Mixed Doubles team and won sectionals earning a bid to Nationals. Alita lives in Camas, WA with her husband, dog, cat, and a baby on the way. Stay up to date with the latest facility news and insider information!